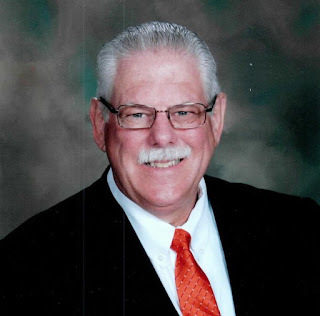 Martens has been the principal at Sallisaw High School for 15 years and he plans to retire in June this year. 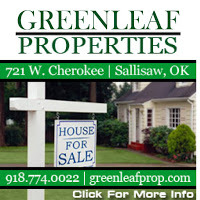 He is married to Judy Martens, the Sallisaw Chamber of Commerce executive director. Martens said this is his first time to run for election. Martens said he wants the city to “continue to be progressive and positive.” He said the city should showcase the many recreational opportunities available, find ways to have more good paying jobs, and continue to promote good educational opportunities. He said city leaders should continue to be wise about decisions affecting the community and the quality of life. -About the proposed splash pad at the old middle school, Martens said he would like to see the facility in a central area of the city. “We need more for our kids to do, and we need to do a lot of work on the swimming pool,” Martens said. -About the upgrade of the water treatment plant, Martens said he couldn’t comment because he “is not in the loop yet.” He said he would have to study what the plant has and what it needs before commenting. -About attracting business and industry to the city, Martens said that many restaurants and retailers require a community to have a population of about 10,000 before moving into a community. 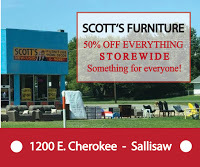 Sallisaw has a population of about 8,200, which keeps many businesses, especially restaurants, from moving in. Martens said more land should be made available, at a fair cost, to prospective businesses. Martens said helping existing businesses and industries expand is the best way to improve. “There are things we can do to create job opportunities without hurting existing businesses,” he said. Martens said he would like to see another or expanded water source for the city, which would also attract business and industry. -About issues with the city charter, Martens said if the city commissioners and the city attorney believed the charter should be reviewed and brought up to date, he would be agreeable. “I’d like to take a hard look at it. I need a lot more information and input,” Martens said. -About city utilities, Martens said they should be affordable to the community and for families. He said DiamondNet is an asset for the community. 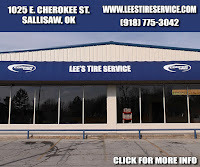 -About a building for the Sallisaw chamber, Martens spoke carefully since his wife, Judy, is the current chamber executive director. Martens said he will be participating in the Sallisaw election forum scheduled for 6:30 p.m. Jan. 22 at People Inc.